The first performance results of NVIDIA’s upcoming GeForce GTX 760 graphics card have been unveiled by PCEVA. 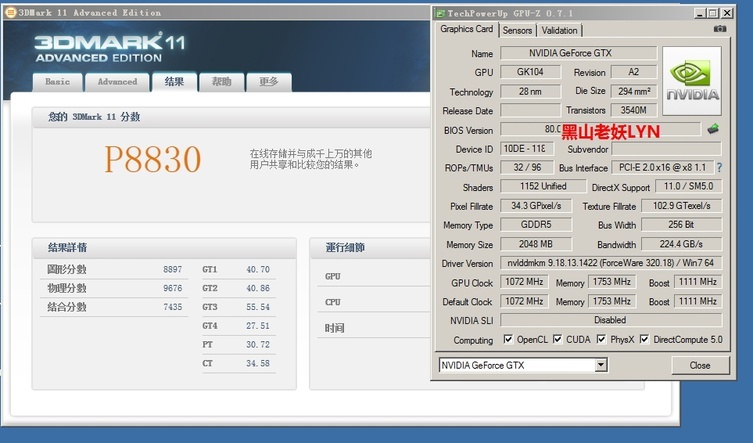 The GeForce GTX 760 graphics card would feature a GK104-225-A2 Kepler core architecture that would boast 1152 cores, 96 TMUs, 32 ROPs along with a 2 GB GDDR5 memory interface running along a 256-bit wide memory interface. Manufacturer’s are free to release 4 GB models as they wish at an extra price. 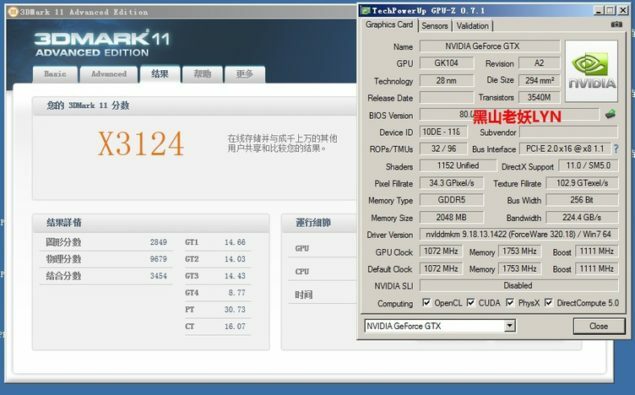 The GPU runs at a base clock of 980 MHz while boosts upto 1033 MHz which are faster speeds than as seen on the GeForce GTX 670. The memory on some of the overclocked variants is clocked at 7 GHz while reference still operate at the reference 6 GHz effective clock speeds, the GPU pumps out a bandwidth of 192 GB/s at 6 GHz and overclocked models at 224.4 GB/s at 7 GHz effective clock speeds. The stock cooling solution used on the card is of the same iteration that is seen on GeForce GTX 680/670/660 reference models. The GPU can be equipped on any one of the GTX 680 or GTX 670 PCBs hence we would be looking at alot more custom edition cards. It makes use of a large aluminum fin heatsink array sitting on top the GPU block that is cooled off by a blower type fan. Display outputs include Dual-DVI, HDMI and a display port.The card is expected to hit retail in about a week or so for a price range of $249-$299 although the official MSRP remains unconfirmed. Performance wise, the card would be faster than the reference Radeon HD 7950 at a similar cost range but the real challenge would between overclocked models since they are priced along a similar path as the overclocked Radeon graphic cards. 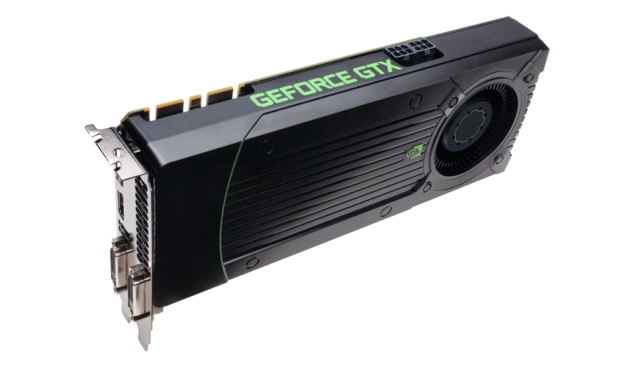 Also to note is that this would be the last GeForce 700 series card we would see in some time since the low end GTX 750 Ti/ GTX 750 etc would launch much later around the end of Q3 2013 or Q4 2013.